Find artworks, auction results, sale prices and pictures of Joseph Henrich Beuys at auctions worldwide. 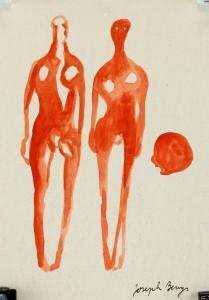 Joseph Beuys German School Watercolor on Paper Watercolor on paper. Featuring a portrait of two figures. Signed Joseph Beuys on the lower right corner. Stamped Warren Art! and inscribed 118 in pencil on verso. 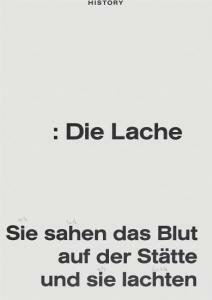 Attributed to Joseph Beuys (1921-1986, German). 27 x 19 cm (10.6 x 7.5 inches). PROVENANCE: Southern Ontario estate Joseph Beuys (1921-1986) was a leading German Conceptual and performance artist. Known for his highly original and controversial themes, his practice of \“social sculpture\” attempted to make art more democratic by collapsing the space between life and art. His work I Like America and America Likes Me (1974) remains a seminal piece of performance art. In the work, Beuys, over the course of three days, locked himself in a room with a live coyote, armed only with layers of felt and a cane. \“Every human being is an artist, a freedom being, called to participate in transforming and reshaping the conditions, thinking and structures that shape and inform our lives,\” he once mused. Born on May 12, 1921 in Krefield, Germany, Beuys fought in World War II and was injured in a plane crash in 1943, an experience that would feature heavily in his future artistic practice. He enrolled in the Kunstakademie Düsseldorf in 1947, and after being appointed professor of monumental sculpture at the school in 1961, he joined the Fluxus group along with Nam June Paik and George Maciunas, only to leave the movement four years later. He performed in his first documenta exhibition in the early 1960s, and was dismissed from his teaching appointment in 1972 after accepting students who were previously rejected from the Akademie. Beuys died January 23, 1986 in Düsseldorf, Germany at the age of 64. Today, the artist\’s works are held in the collections of the Art Institute of Chicago, The Museum of Modern Art in New York, the Tate Gallery in London, the Hamburger Banhof in Berlin, and the Kunstmuseum Basel, among others. 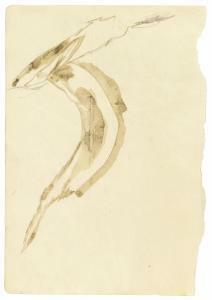 Joseph Beuys (1921-1986) Angstsprung des elektrisierten Fuchses (The Electrified Fox Jumping in Fear) signed, titled and dated \‘Beuys 53 Angstsprung des (Pelztieres) elektrisierten Fuchses\‘ (on the reverse) watercolour and graphite on paper 8 ¼ x 5 ¾in. (20.8 x 14.5cm.) Executed in 1953 Provenance Galerie Bastian, Berlin. Acquired from the above by the present owner circa 1989-1990. 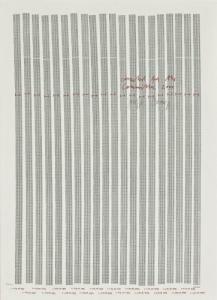 Joseph Beuys History, from Dem Frieden eine Form geben (Give Peace a Shape) 1985Offset lithograph with handwritten additions in pencil, on thin wove paper, the full sheet.S. 84.2 x 59.6 cm (33 1/8 x 23 1/2 in. )Signed in pencil on the reverse, an unnumbered proof (the edition was 30 impressions in Arabic numerals and 20 artist's proofs in Roman numerals), published by Edition René Block, Berlin, for the Art-of-Piece-Biennale, Hamburg, unframed. JOSEPH BEUYS (Krefeld 1921 - 1986 Düsseldorf) Gletscher. 1950. Woodcut in black. 16/50. Signed in pencil lower right: Joseph Beuys, also dated lower centre: 1950. Image 11.5 x 37 cm on firm wove paper by BFK Rives (with the watermark) 50 x 65 cm. Published by Propyläen Verlag, Berlin. Sheet 3 from the 5-part portfolio "Holzschnitte". Beuys, Joseph 1921 Krefeld - 1986 Düsseldorf Countdown 2000. 1981 Farbiges Offset auf leicht strukturiertem Velin. (Blattgröße 87,5 x 63,5 cm) In der Darstellung mir Bleistift signiert und links unten nummeriert. 580/2000. Rahmen. 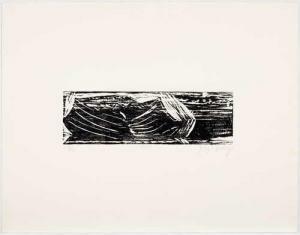 Werkverzeichnis: Schellmann 377 Dabei: 80 Postkarten 1956-1985 in Original-Kartonbox und 1 Ausstellungsbroschüre 1984. Postkarten unsigniert, Edition Staeck 6900 Heidelberg Postfach 102063. Broschüre auf dem Umschlag handsigniert und rückseitig mit dem Stempel der "Free International University" versehen. Eines der 100 vom Künstler handsignierten Exemplare aus der Auflage von 500. Dokumentarisch angelegter Katalog zur gleichnamigen Ausstellung in der Galerie Fochem & Kleinsimlinghaus, Krefeld, November-Dezember 1984. Postkarten: Gesamtmaße in Karton 16,5 x 12,5 x 4 cm. Broschüre: 29,6 x 20,8 cm. Beuys, Joseph Countdown 2000. 1981 Coloured offset on slightly textured vellum (sheet size 87.5 x 63.5 cm) Signed in pencil in the picture and monogrammed lower left. 580/2000. Framed. Catalogue raisonné: Schellmann 377. Including: 80 postcards 1956-1985 in original cardboard box and 1 exhibition brochure, 1984. Postcards unsigned, Staeck Edition 6900 Heidelberg Postfach 102063. Brochure hand-signed on the cover and stamped with the stamp of the ''Free International University'' on the back. One of the 100 copies signed by artists from the edition of 500. Postcards: Overall dimensions in box 16.5 x 12.5 x 4 cm. Brochure: 29.6 x 20.8.